Filming of the TV series “Lethal Weapon” on Broadway in Downtown Long Beach will impact traffic between Pine Avenue and Long Beach Boulevard, as crews will be stopping motor vehicles intermittently throughout the day through Wednesday. 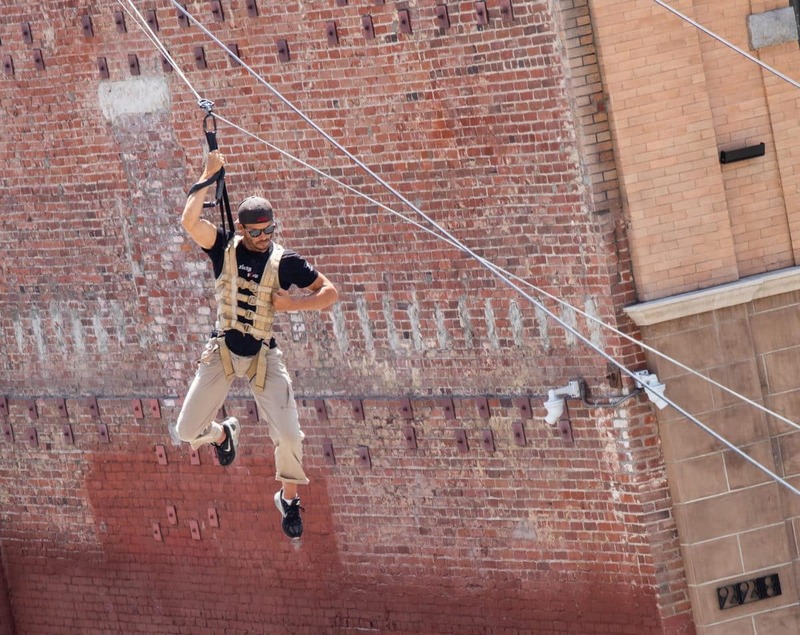 A scene being shot Wednesday will include a chase, involving one of the stars of the series, Seann William Scott (by way of a stuntman), zip-lining across Broadway from the north side of the street to an alley on the east side. Traffic will be stopped on the street during the zip-line stunt’s practices and various takes. Updated to include Seann William Scott as the actor portrayed in the stunt. Scott has replaced Clayne Crawford in the role of Martin Riggs.